Application The plast cabinet can be integrated in the process-linking and is especially designed for heavy workpieces. 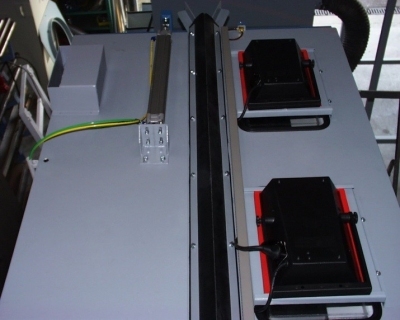 Part Handling The workpiece can be loaded into the cabinet via pneumatic doors and an external crane rail. 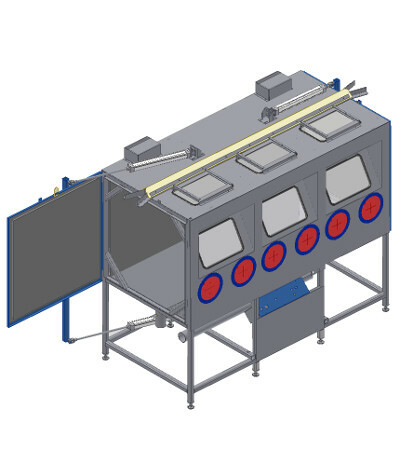 The cabinet has three different workstations for manual blasting of the workpiece. 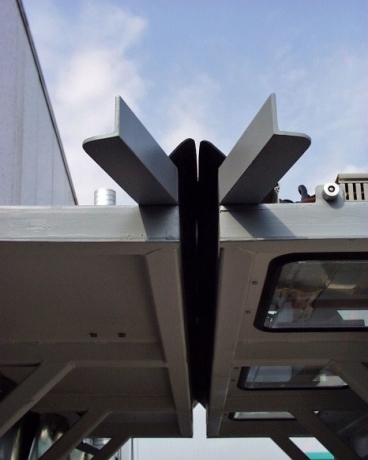 Application advantage The cabinet has no maximum payload, this defined by the external crane rail. Furthermore the cabinet can be perfectly integrated in the workflow of the whole process.